First, let’s define three-layer warping (3LW), just to make sure we all start on the same page. 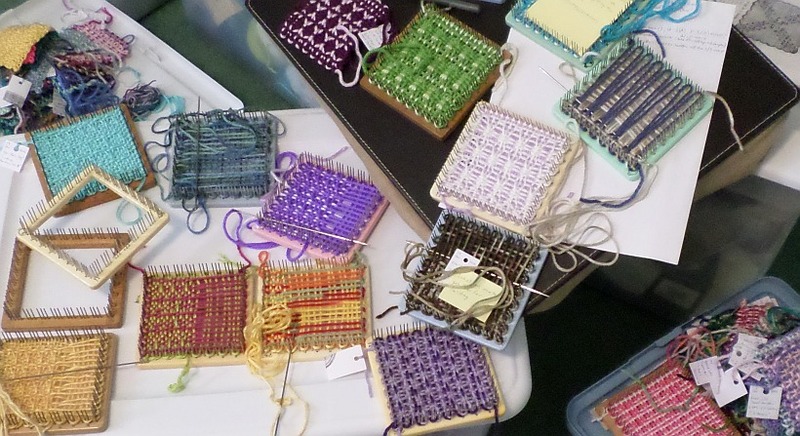 3LW is way of preparing your pin loom for weaving. It consists of warping layer 1 (L1), then L2 (technically this is a weft, or weaving, layer), then L3 (another warp layer), and finally weaving L4 — L4 is the last step in the pin loom weaving process, and is not actually a discrete layer (see Diagrams page). The reason we use 3LW is that it’s convenient. It’s not stronger than any other type of weaving. However, pin loom weaving, unlike any other type of weaving I know of, creates four selvage edges. Whether or not this makes the weaving stronger, it’s certainly an advantage. 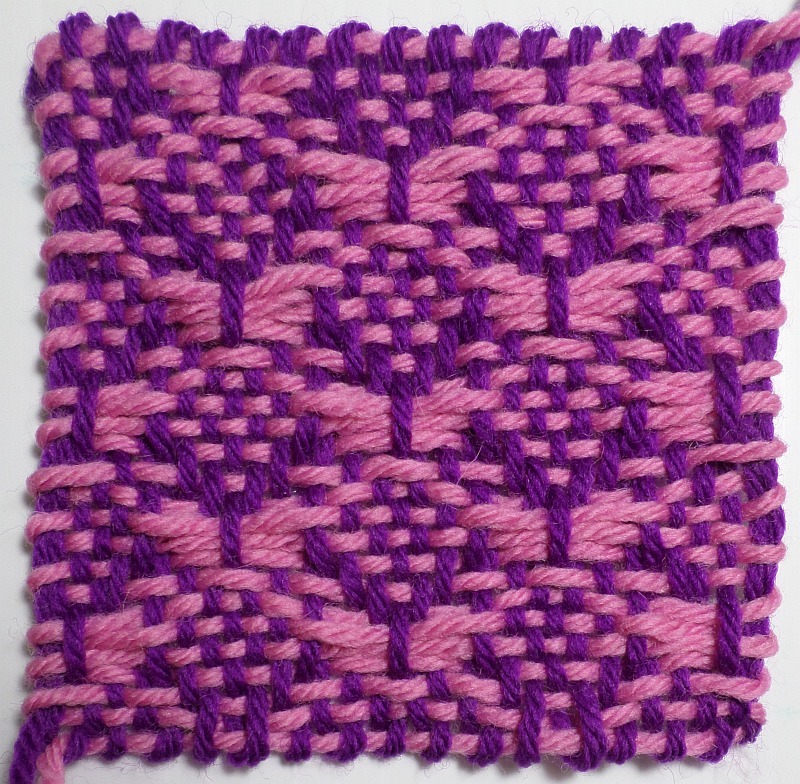 3LW makes the weaving step go faster in plain or pattern stitch weaving. With plain weave and many pattern stitches, if you prefer 2LW, you can slide all even-numbered rows between the L1 and L3 warps instead of weaving them. I haven’t explored this option much. Since I prefer the scallop edges, I generally use 3LW or try to mimic the result. Three-layer warping results in a scallop edge around the finished square. Two-layer warping typically results in a square with two scallop edges (top and bottom) and two non-scallop edges (the sides). One-layer warping yields four non-scallop edges. 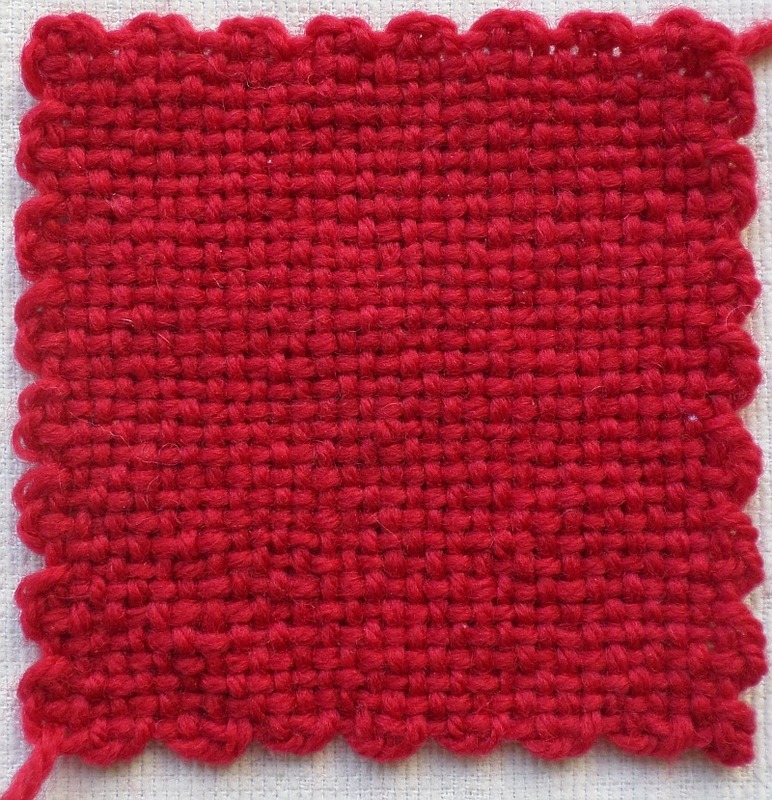 With plain weave it doesn’t matter which warping method you use. You can decide whether or not you want scallop edges and whether or not you want to weave all the rows or only half of them. The reasons you might choose two- or single-layer warping is either to eliminate the scallop edges or because they allow you to manipulate the stitches of every row during the weaving process. 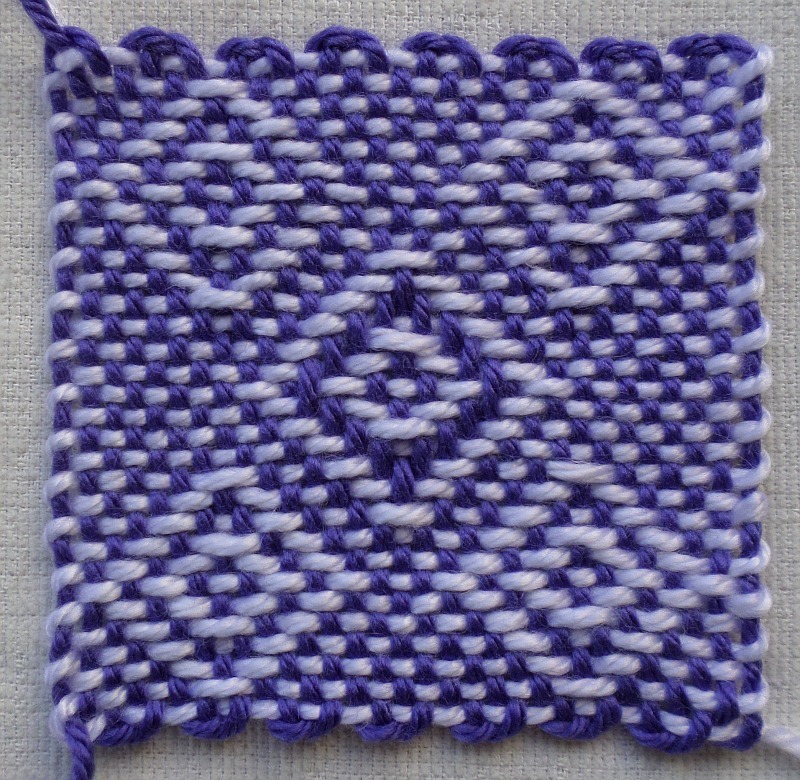 This is useful for certain types of pattern weaving, such as twill. 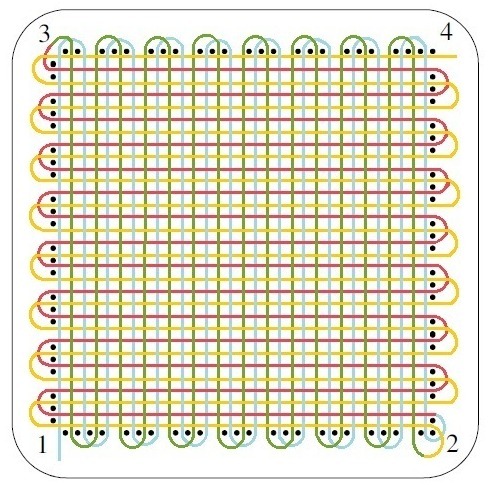 Looms with the three-pin configuration (such as Weave-It or Zoom Loom) were designed to make 3LW easier, but you can also do three-layer warping on a loom with equidistant pin spacing (see Topical Guide — “Bias Looms”). Thank you for sharing the information about the options for warping methods. This opens up all kinds of wonderful things to do. You’re welcome! It was fun for me to think about the various warping methods. Thankyou Sue. I have wondered about the layers and difference . You’re welcome. I found it really interesting to consider the differences.